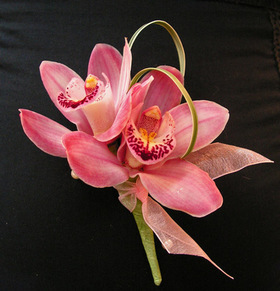 Description:Two Mini Cymbidium Orchid with a touch of greens and ribbon. Available for pin-on or standard wrist band. Colours can be changed.